One of my favorite things to do is to arrange music specifically for clients. Listen to my audio files for a couple of examples of songs that I have arranged for the wedding ceremonies of individual clients. It was a pleasure to have Robert play at our wedding. He was on time, professional, extremely helpful before the big day, and his music was beautiful. It was the perfect addition to our day. Robert played at both the ceremony and reception and everything was flawless. I am so glad we picked Robert. Thank you for making our day perfect! 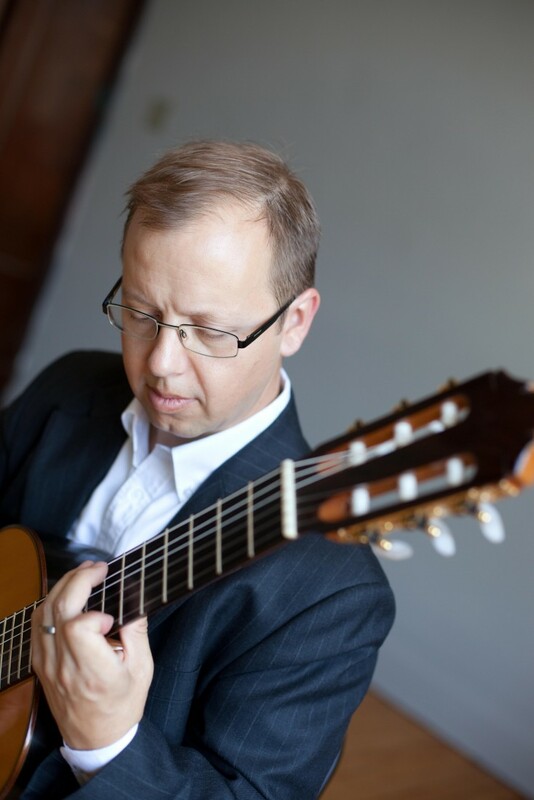 The sound of the classical guitar can provide the perfect atmosphere of elegance and intimacy for a wedding ceremony, dinner, wine tasting, or any other event. I enjoy working with clients to make sure the music is exactly what they want for their event. Wedding Ceremonies are a particular interest of mine. I have been performing music for wedding ceremonies for more than 20 years, and I find it to be among the most rewarding and interesting work I do. Every wedding is as unique as the couple themselves, and I find the entire process of preparation for a wedding to be very satisfying. From working with the couple as they choose the ceremony music to the actual performance of the music on the couple's special day, I enjoy the whole process. It's always an honor to be able to help to create exactly the ambiance that a couple wants for their wedding. Robert Brown, originally from Springfield, Ohio, studied at the University of Cincinnati College-Conservatory of Music, where he earned his Bachelor of Music degree, and at Southern Methodist University, where he earned his Master of Music degree. 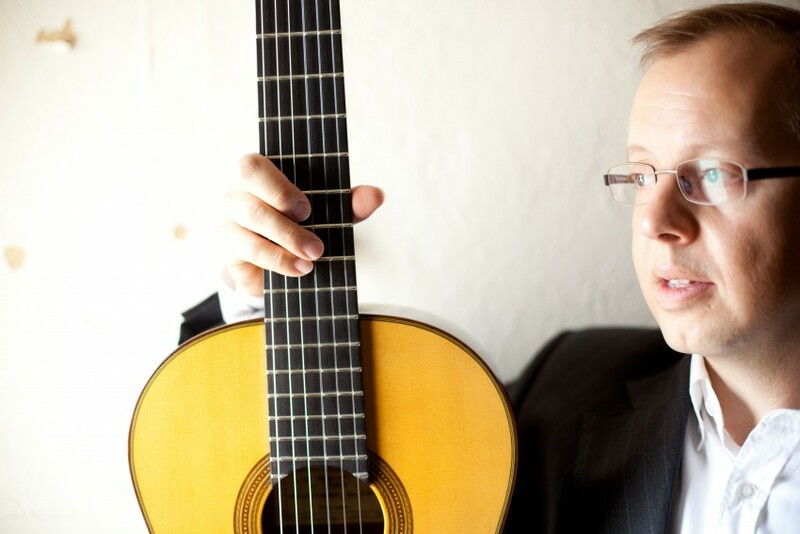 During these years, he earned a number of awards in international guitar competitions, most notably first prize at the Portland International Solo Guitar Competition in 1994. Robert has performed concerts on three continents as a soloist. 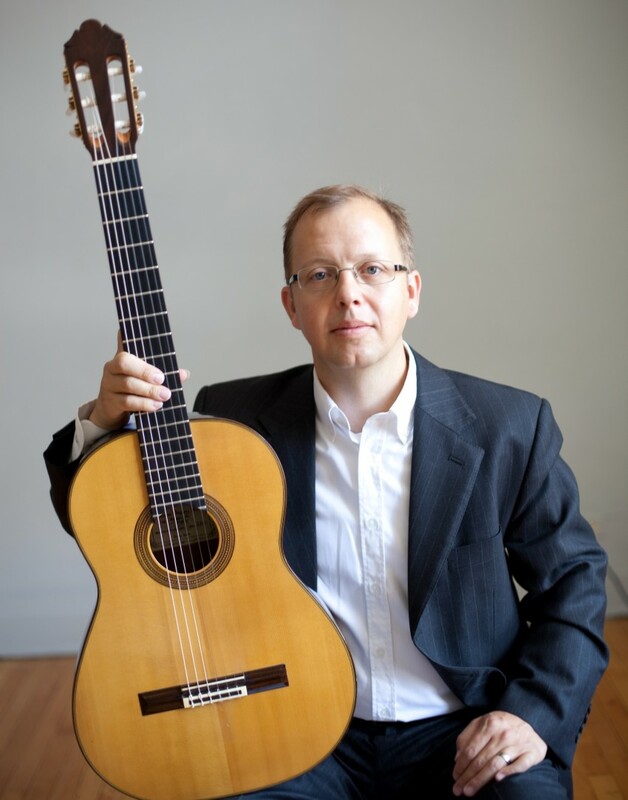 Robert lives with his wife and two children in Cincinnati, Ohio, where he serves as adjunct professor of guitar at the College of Mount St. Joseph, and teaches guitar at St. Ursula Academy. In addition to concerts and recitals, he also performs frequently for wedding ceremonies and other events, and since 2006 has been playing music for Saturday afternoon tea at the Orchids at Palm Court restaurant in the Hilton Cincinnati Netherland Plaza. The only thing I need is a working electrical outlet. I bring everything else with me, including all sound reinforcement equipment.